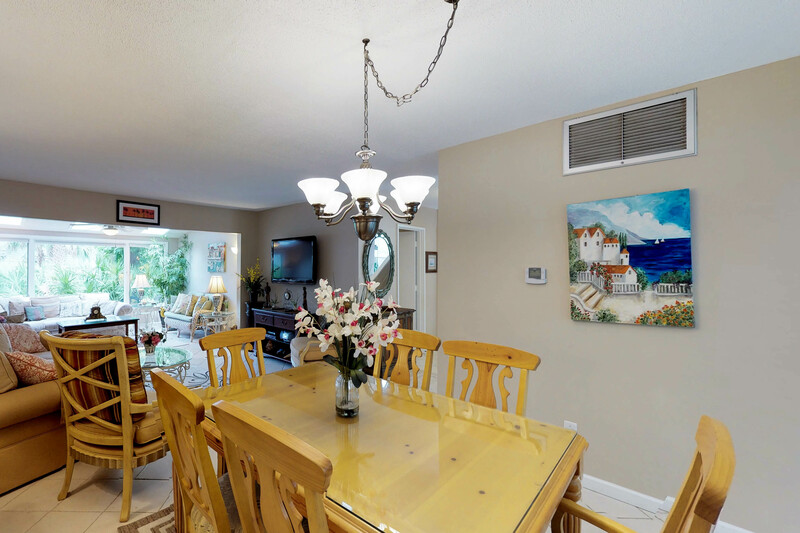 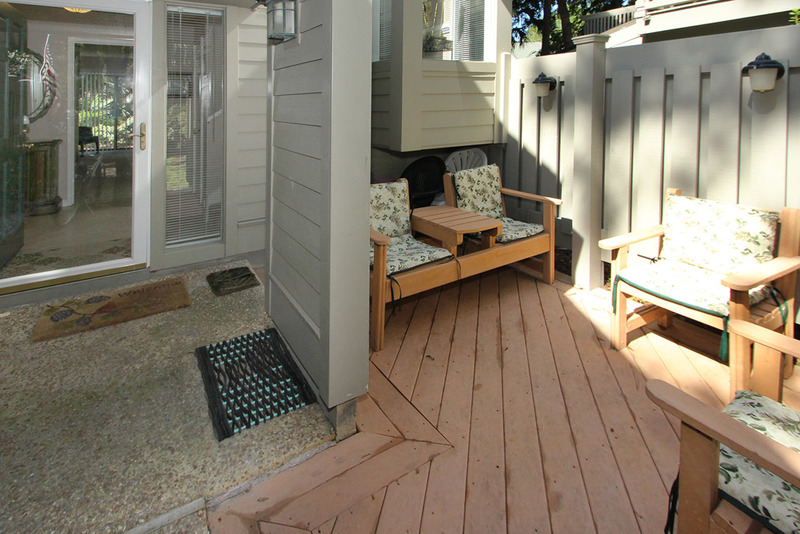 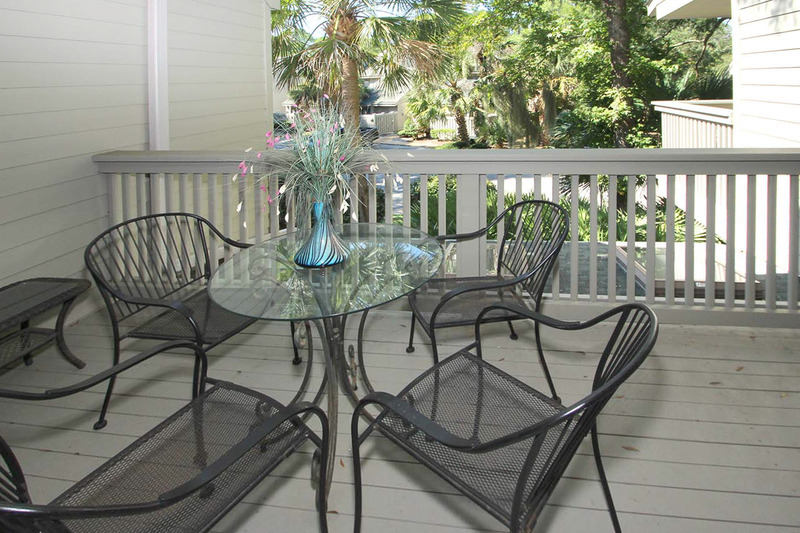 This two story Ocean Cove townhouse is just a short walk over to the Dunes House for Beach Access. 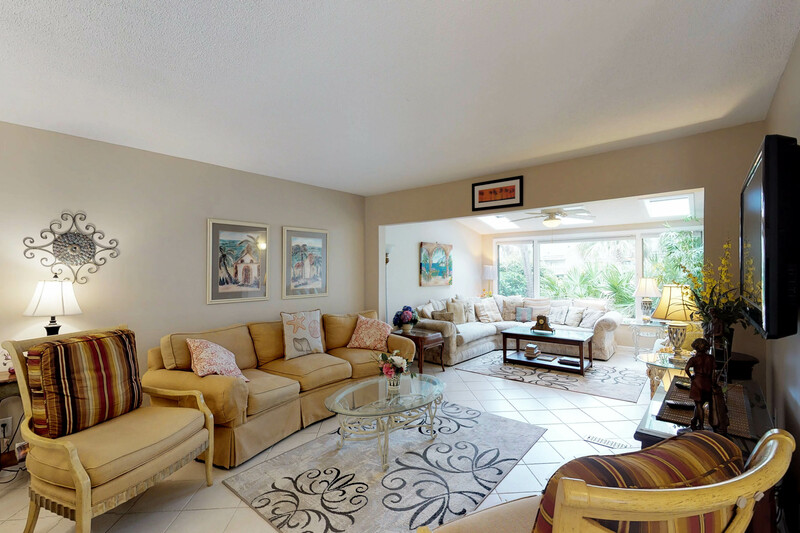 The living room features a 46" flat screen TV. 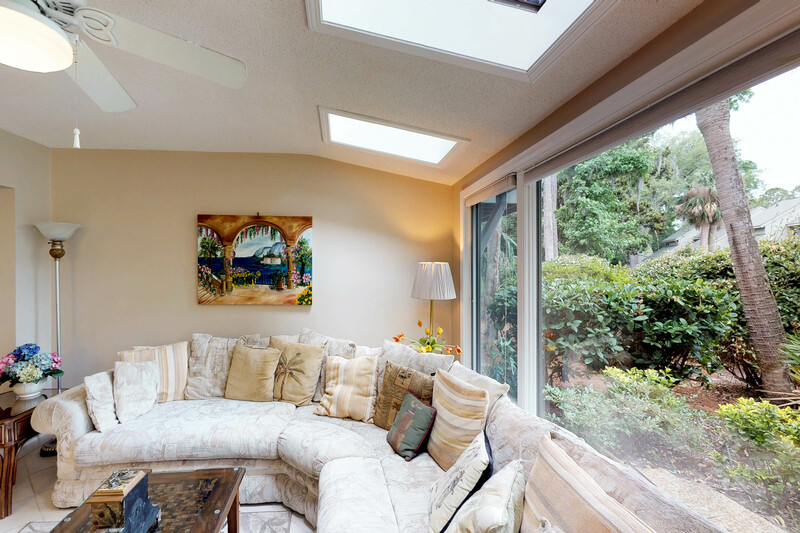 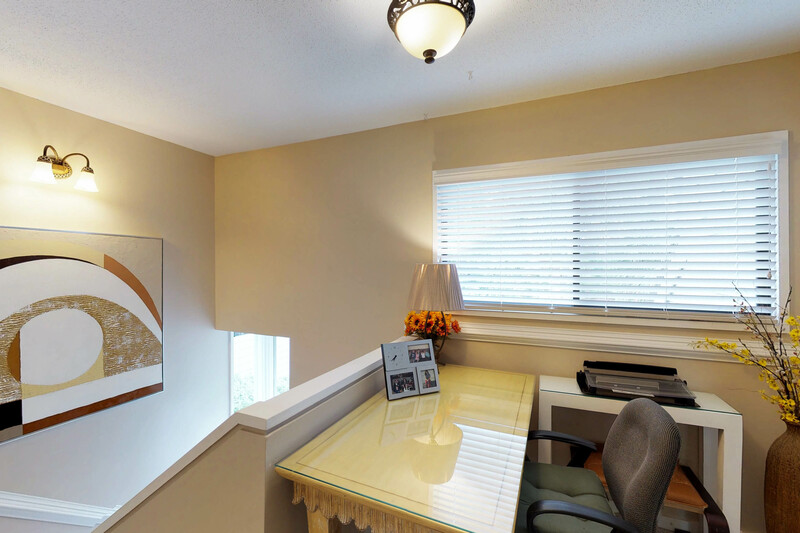 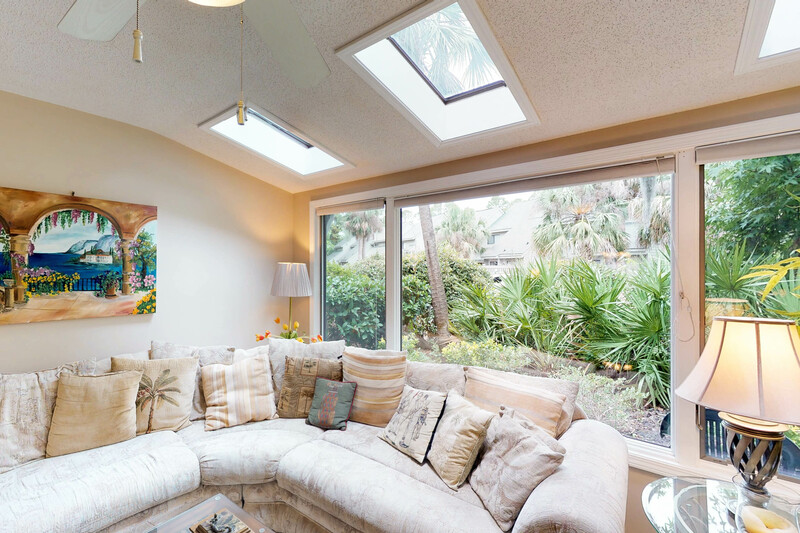 There is an additional seating in the Florida room that has picture windows and skylights. 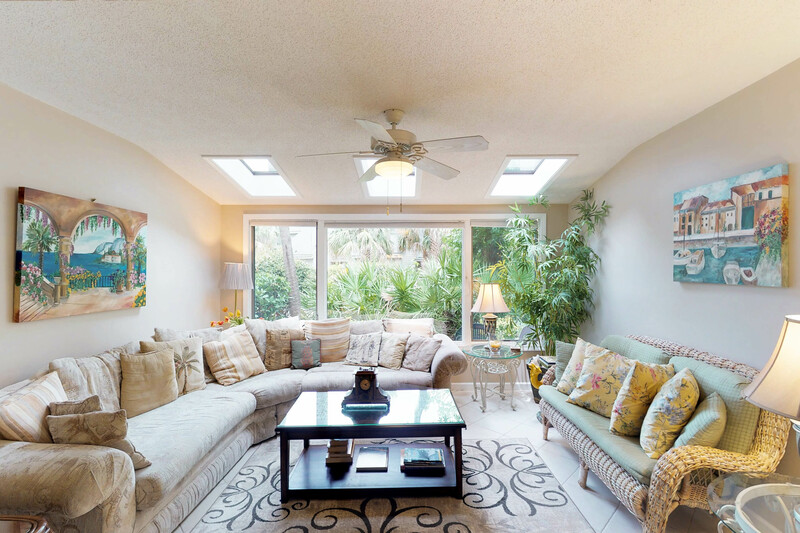 A patio off the living room leads to the complex pool, just a few steps away, and an outside shower to wash off the beach sand. 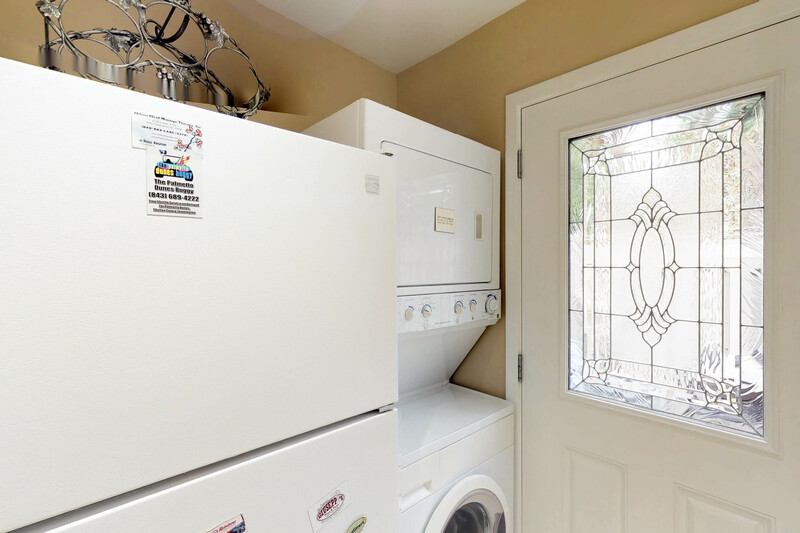 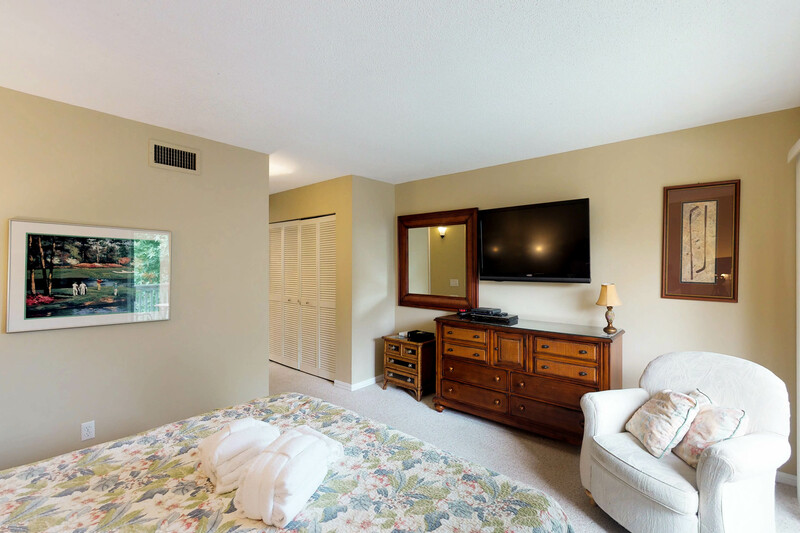 The main floor also features a bedroom with a king and 46" flat screen TV, a sliding glass door with patio access and a private bathroom. 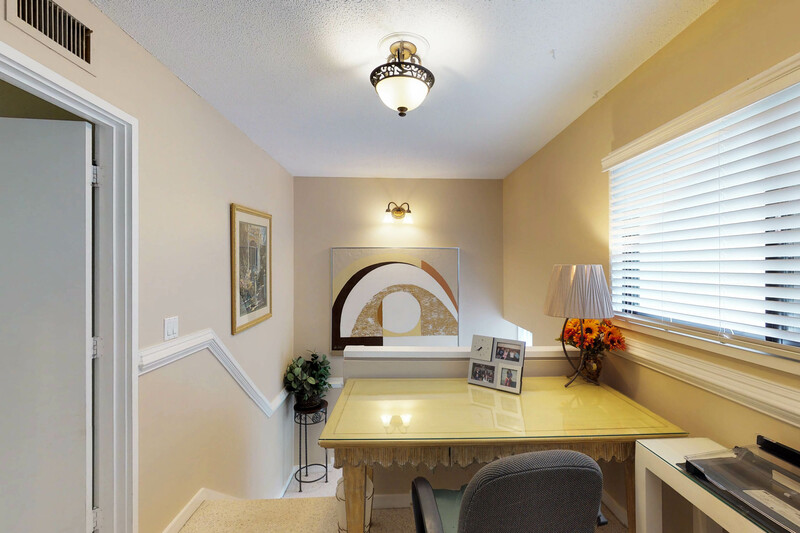 Upstairs there is a landing area that is set-up as a computer work space. 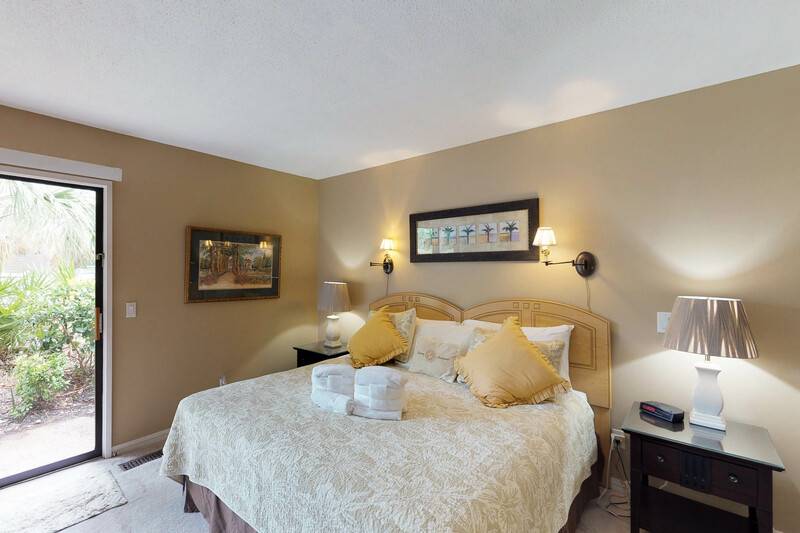 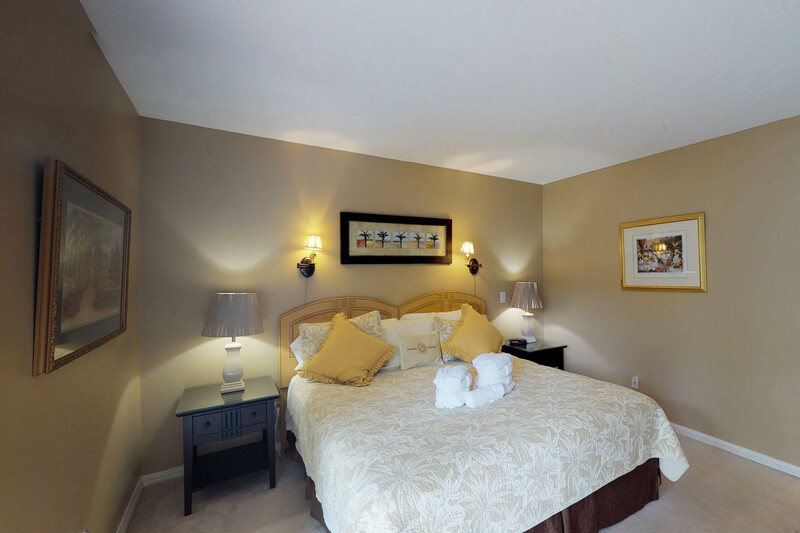 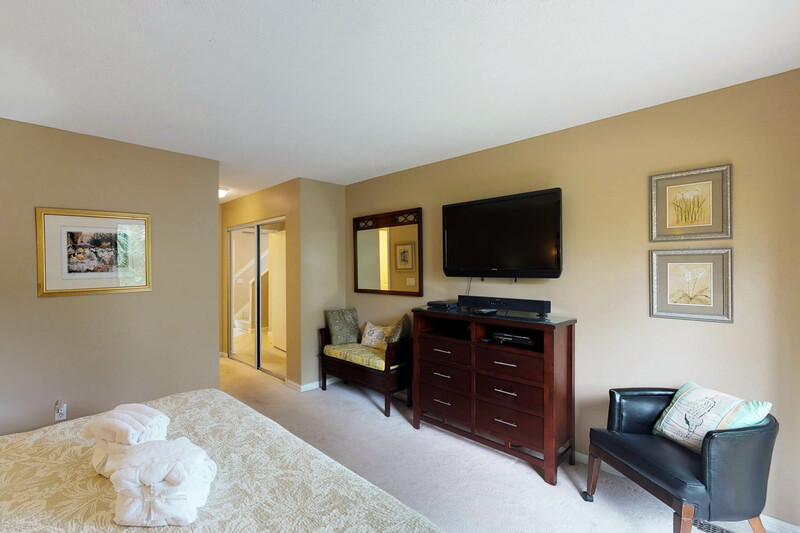 The second master bedroom and the 3rd bedroom are also located on the second floor. 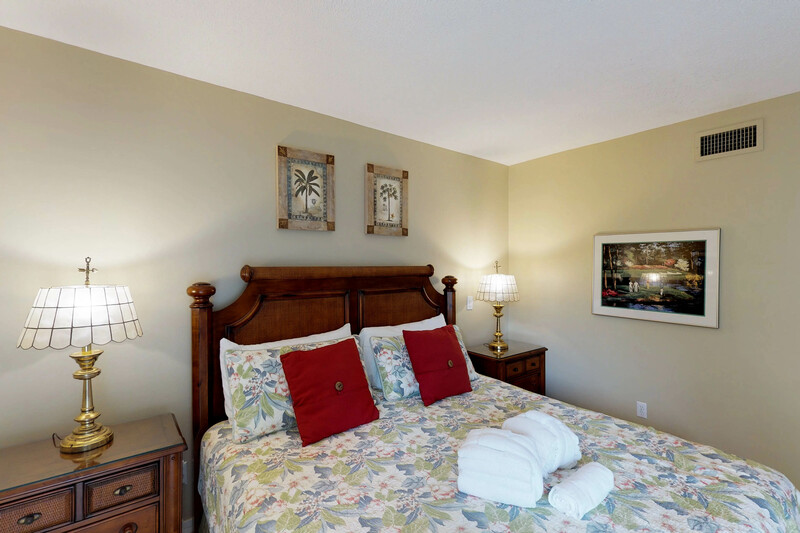 The second master bedrom features a king bed, 46" flat screen TV, and bathroom. 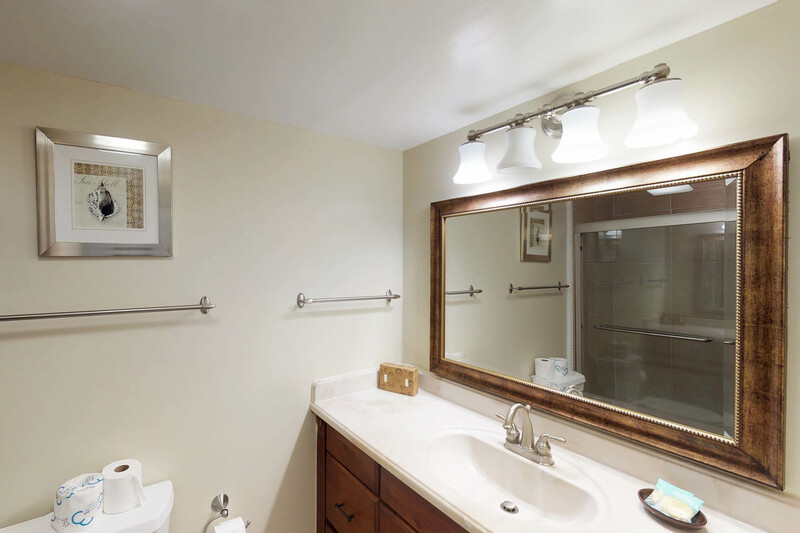 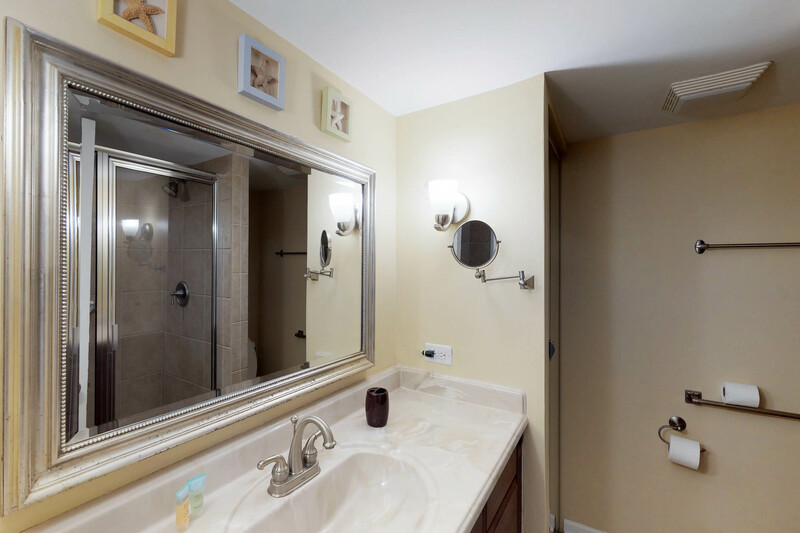 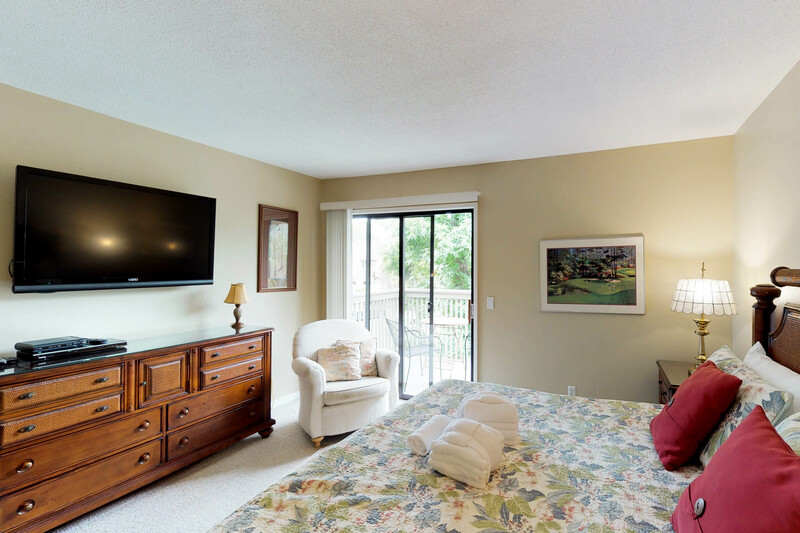 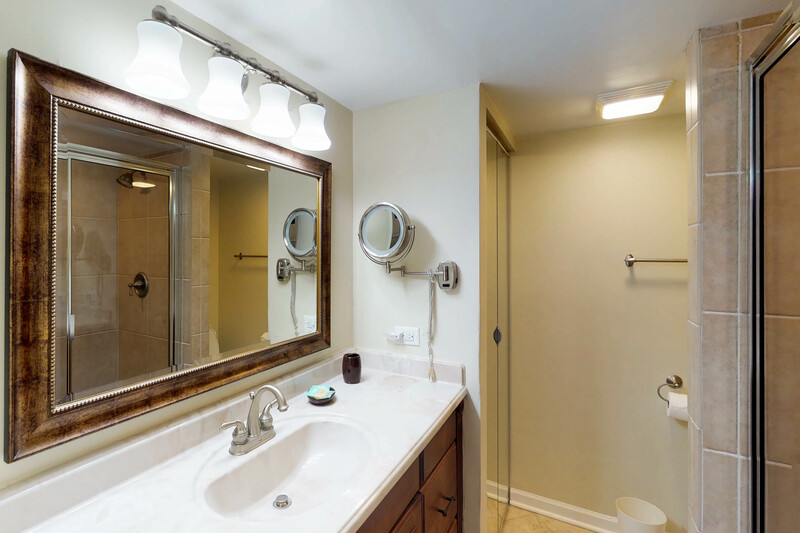 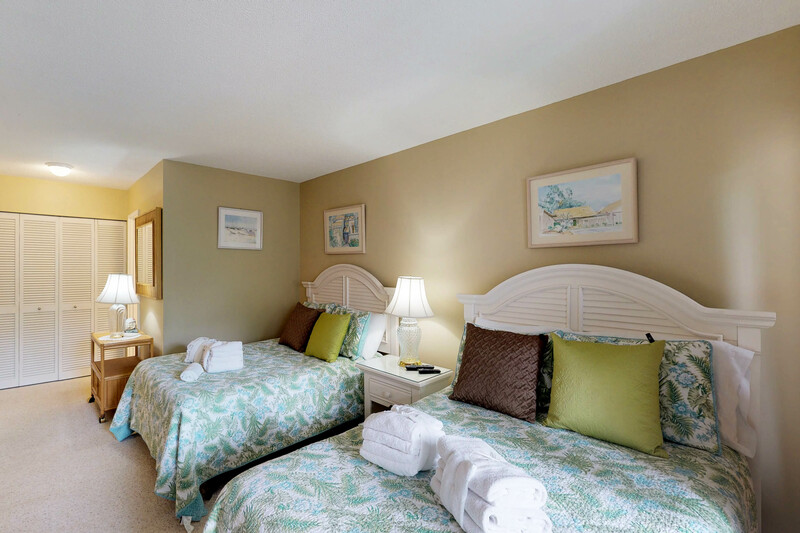 The 3rd bedroom has two double beds and a 46" flat screen TV with a private bathroom with tub/shower combination. 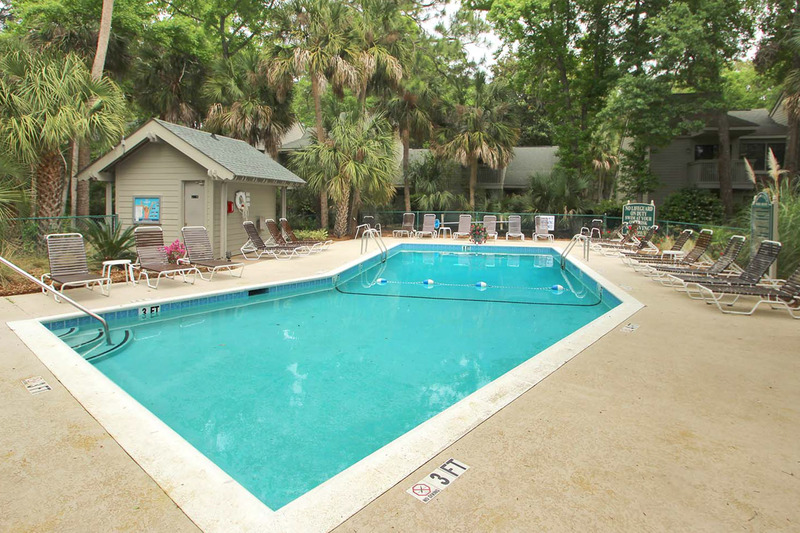 Located on the Palmetto Dunes waterway and just across the street from the beach, Ocean Cove's townhouse style units with a ground floor entrance are within walking distance to the Palmetto Dunes Tennis Center, the boat landing, and the Marriott Beach and Golf Resort which has specialty shops and restaurants. 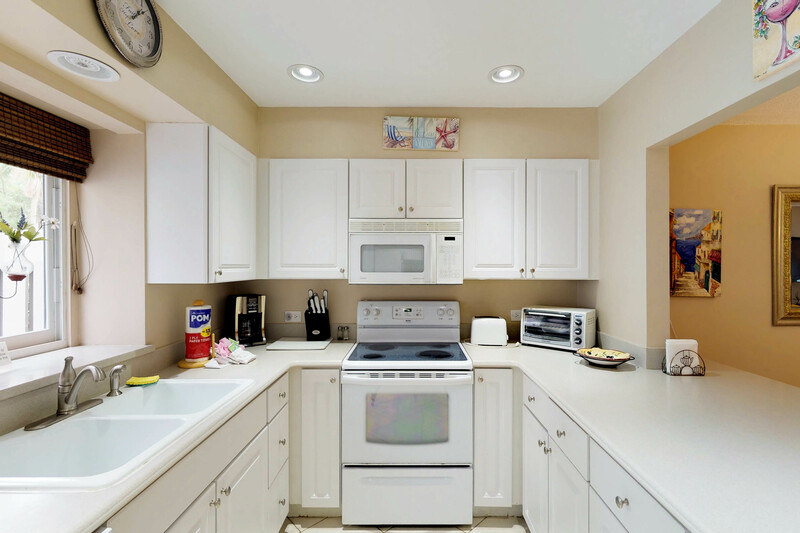 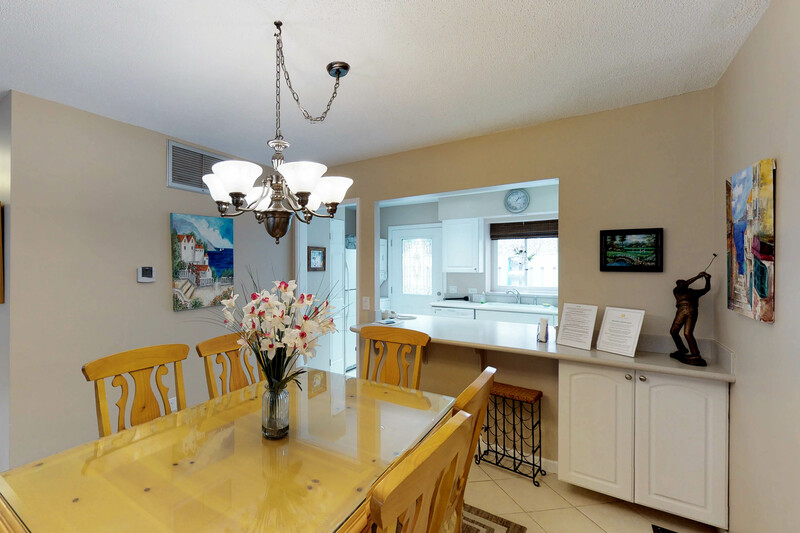 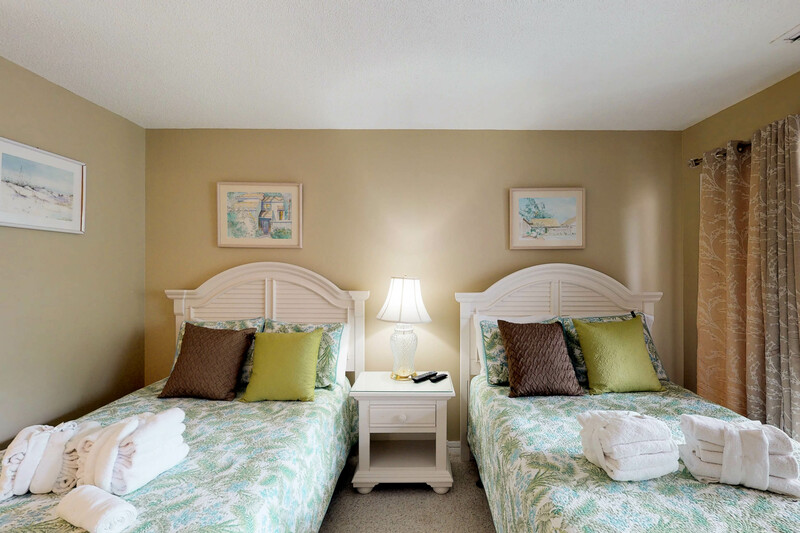 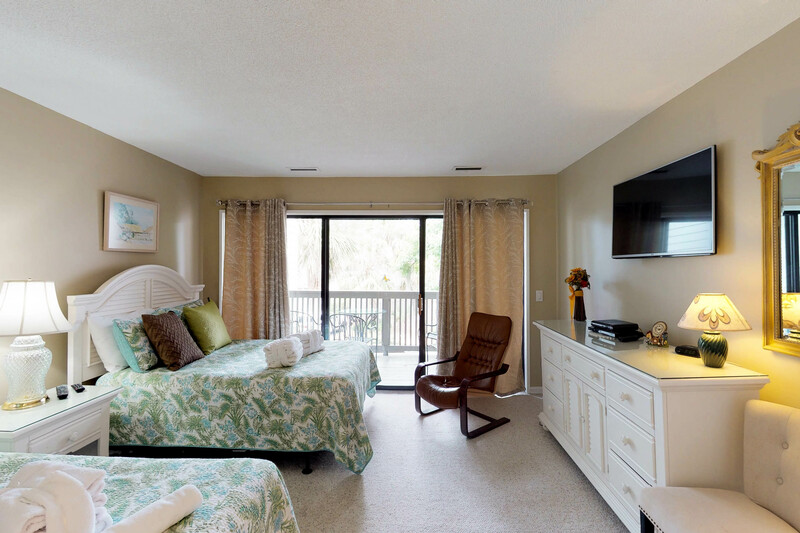 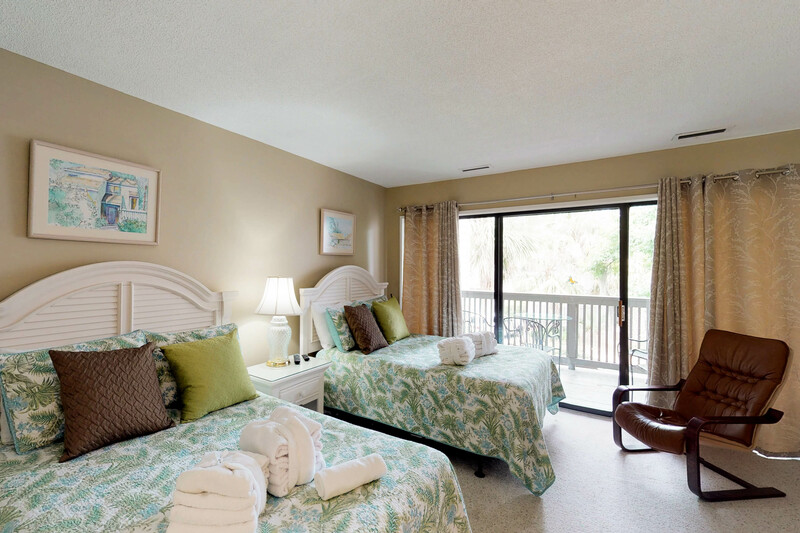 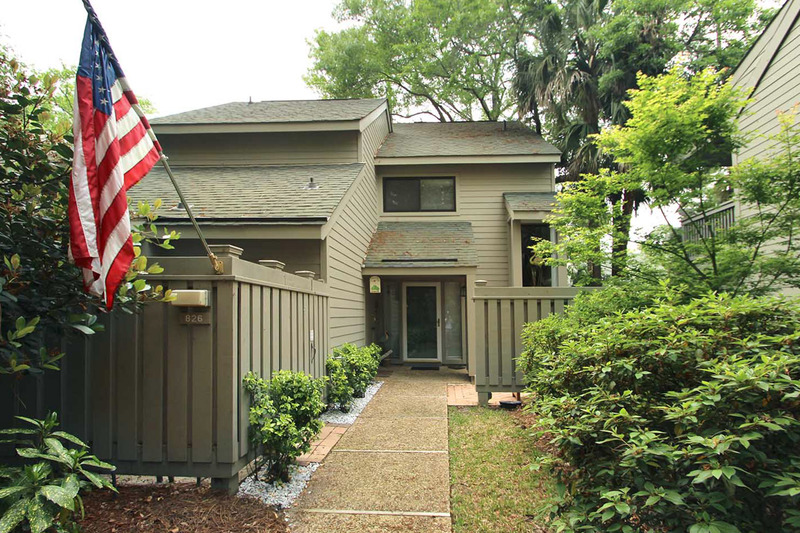 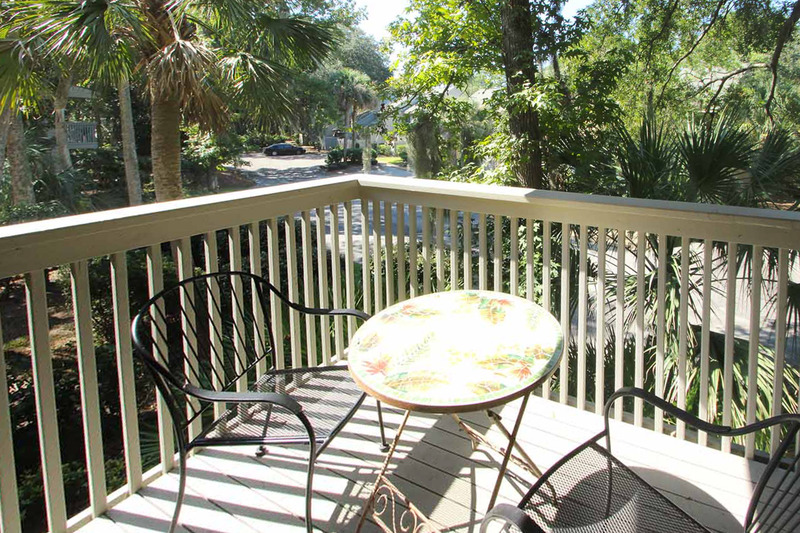 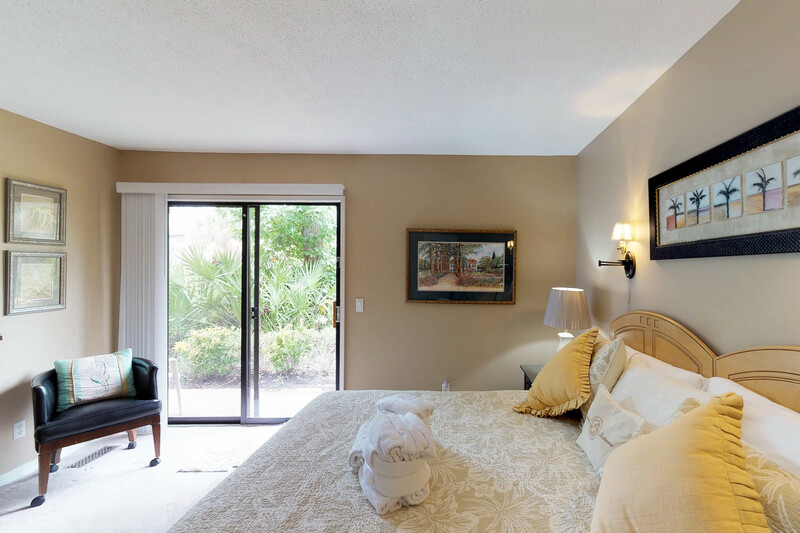 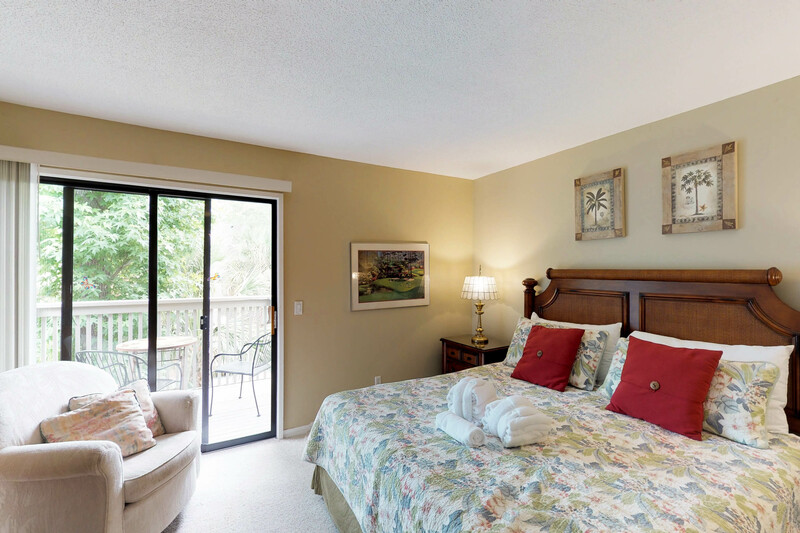 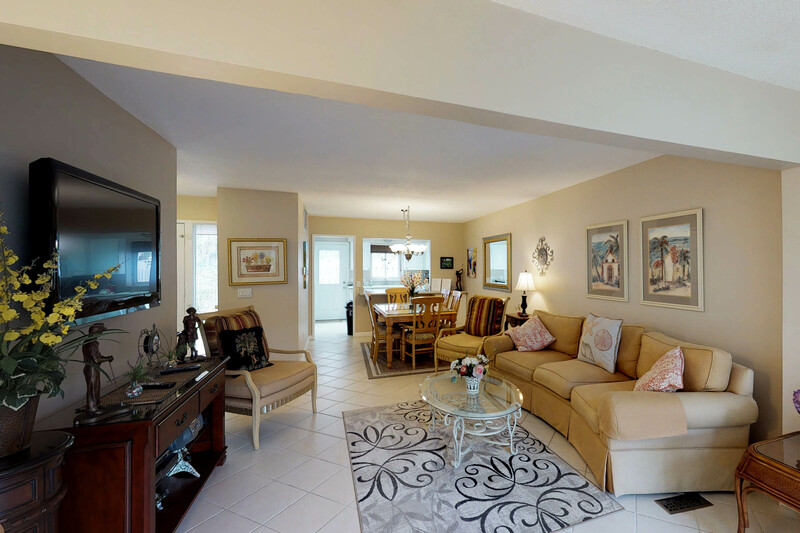 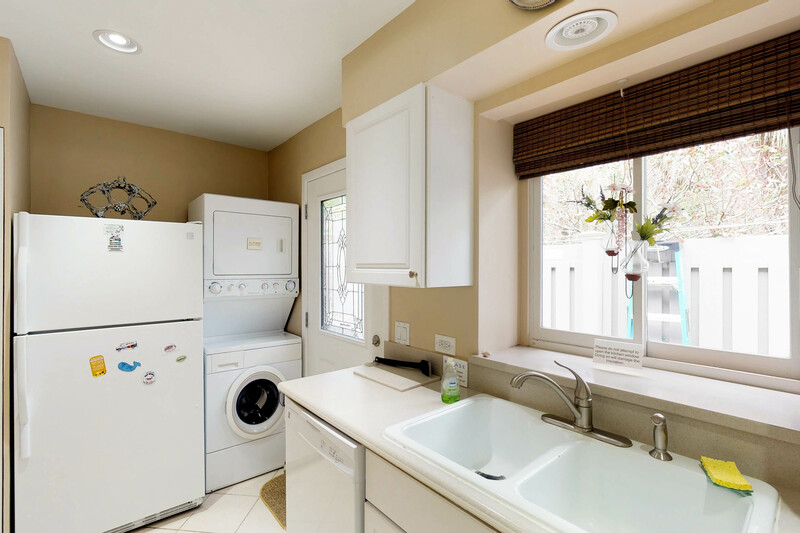 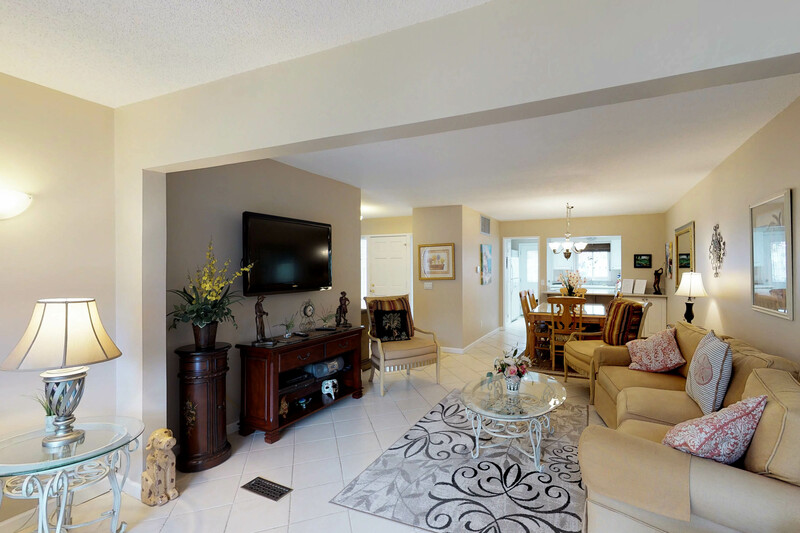 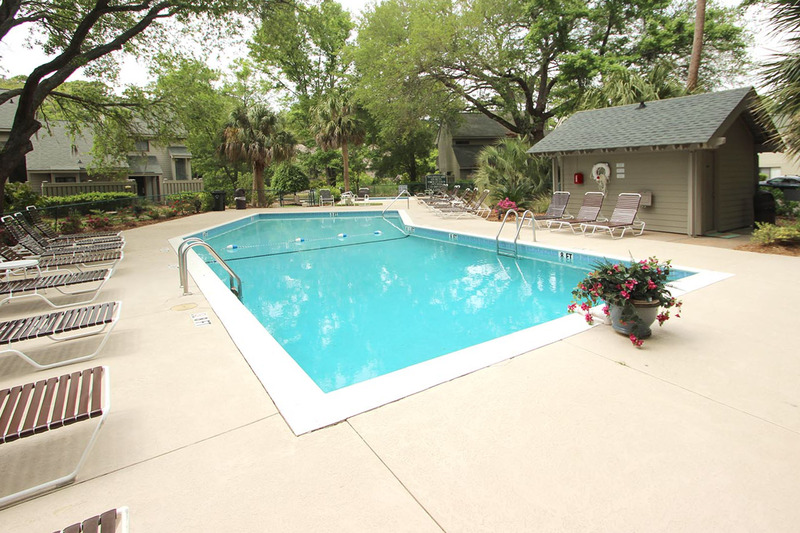 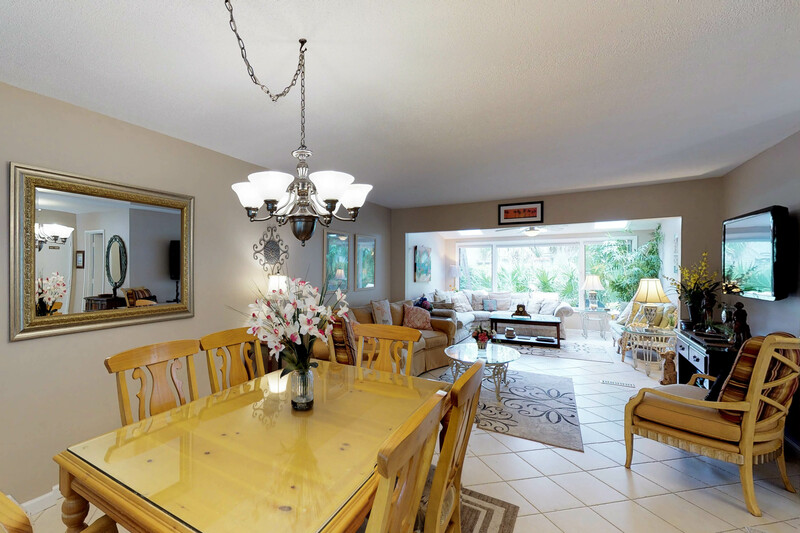 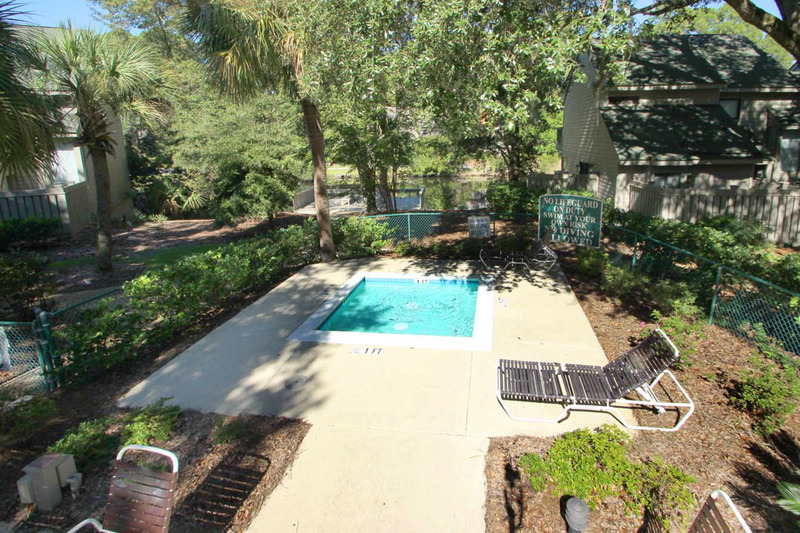 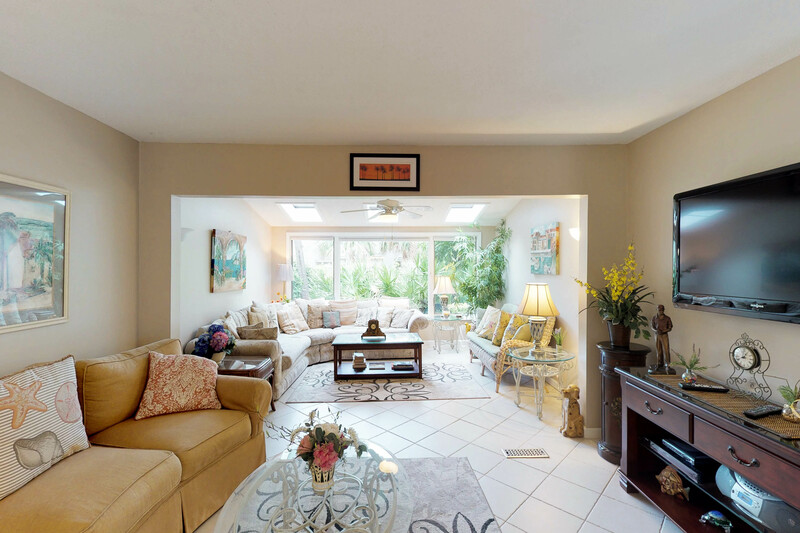 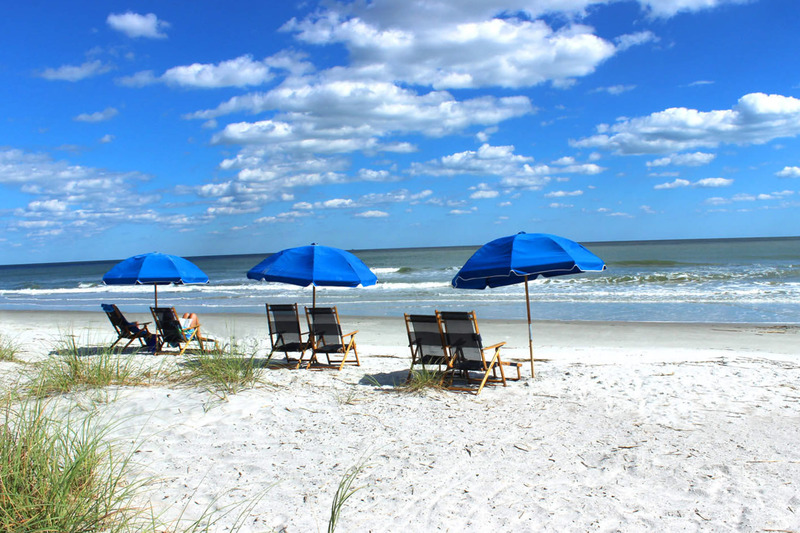 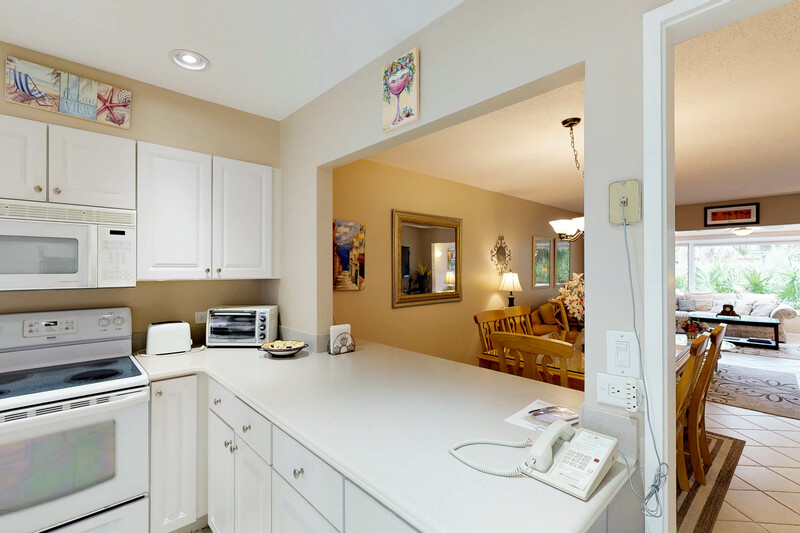 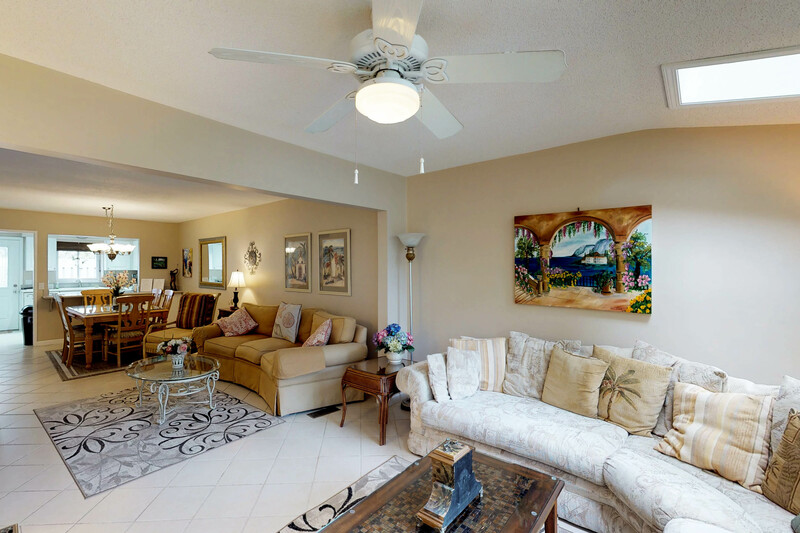 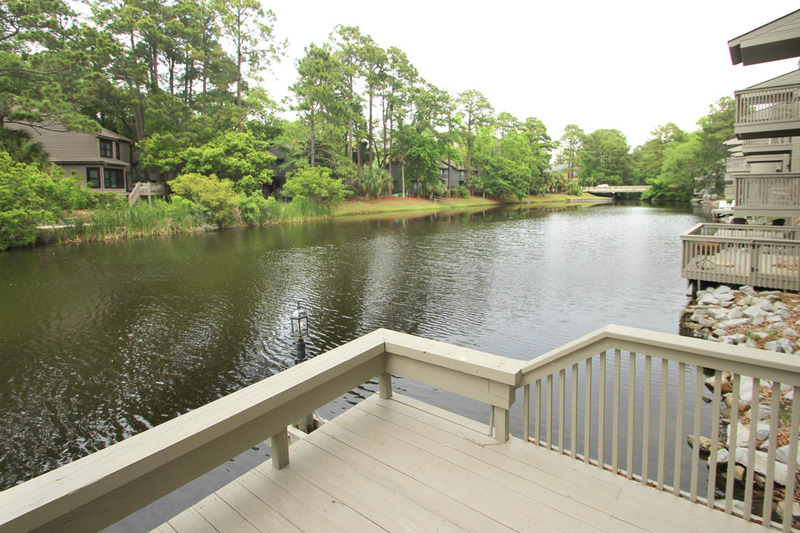 The Ocean Cove villas have one of the most central and convenient locations in Palmetto Dunes Resort.